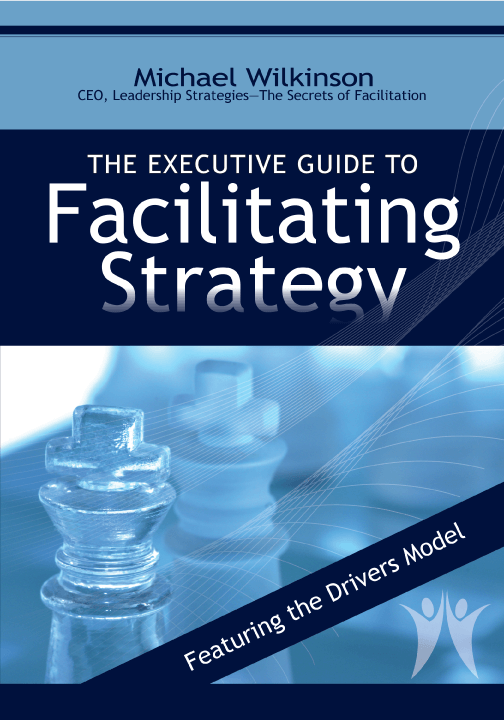 The Executive Guide to Facilitating Strategy provides executives, leaders and facilitators with a step-by-step resource for guiding their team through all phases of the strategic planning process – from gaining the team’s buy-in to do planning and identify strategic issues, all the way through organization alignment, implementation, monitoring and making adjustments. 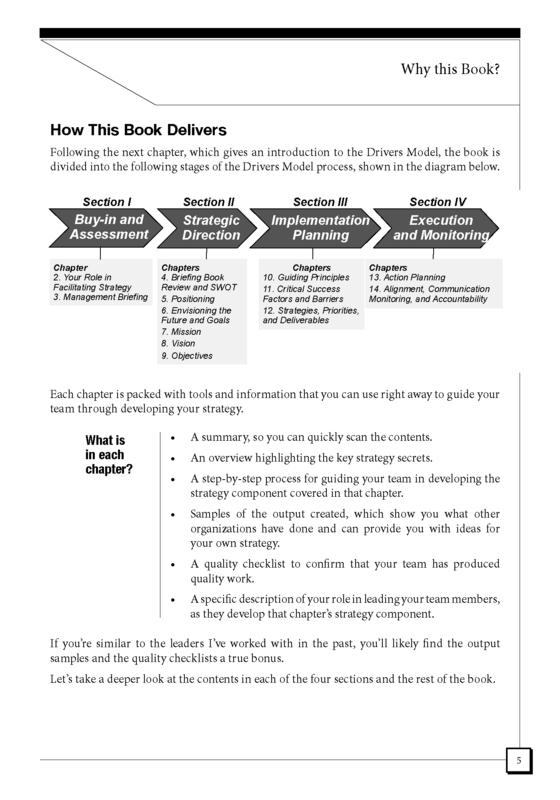 This book delivers the Drivers Model, a powerful tool to help you facilitate your organization through the development of a strategic plan from start to finish, whether you lead a corporation, government agency, non-profit organization, business unit, department, or team. 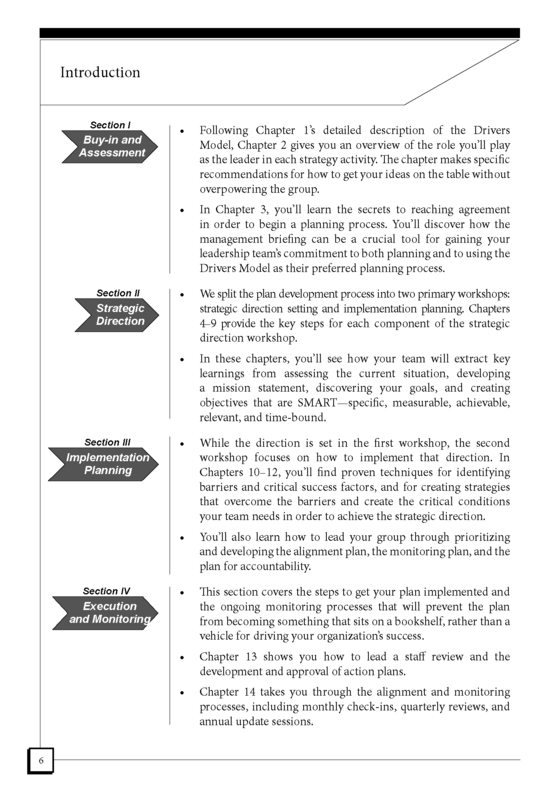 The Drivers Model is a simple but dynamic process that covers the seven key principles for masterful planning, from thoroughly identifying critical issues to establishing a rigorous process for driving successful implementation. • A process for monitoring progress and promoting positive accountability. 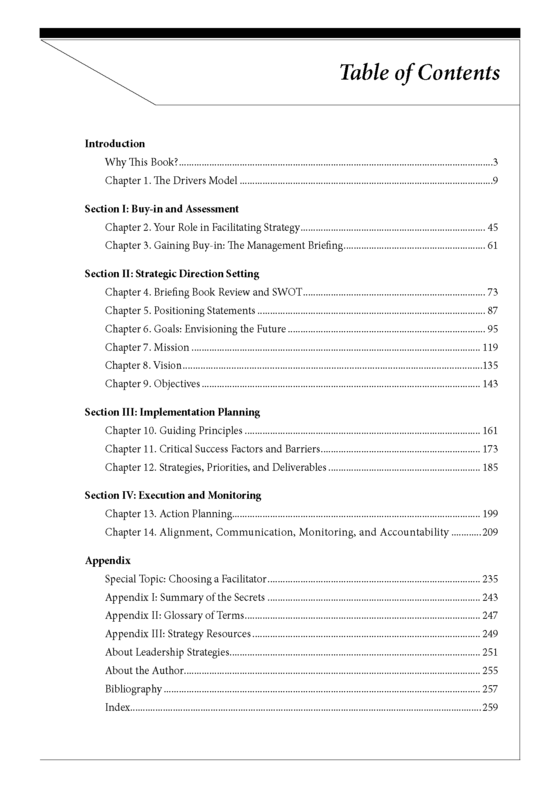 The book is chock-full of tools and techniques and includes more than 400 examples of mission statements, goals, guiding principles, strategies, agendas, and process checklists. Experienced practitioners will especially like the quality checks included for each component of the plan so that you can be sure that what you create is effective and thorough. 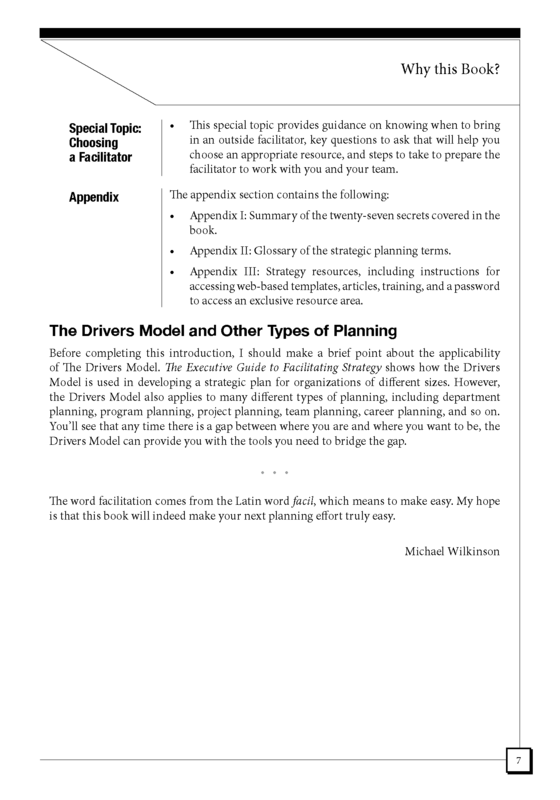 In summary, The Executive Guide to Facilitating Strategy guides you in your role as an effective facilitator of change by providing you a proven framework that you can use immediately in just about any kind of planning you may need to do. By Michael Wilkinson, Certified Master Facilitator and CEO, Leadership Strategies. 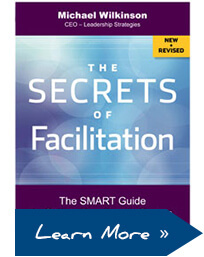 The Secrets to Masterful Meetings provides leaders with a step-by-step guide for igniting a meetings revolution. The result: a complete culture transformation in which bad meetings become unacceptable!